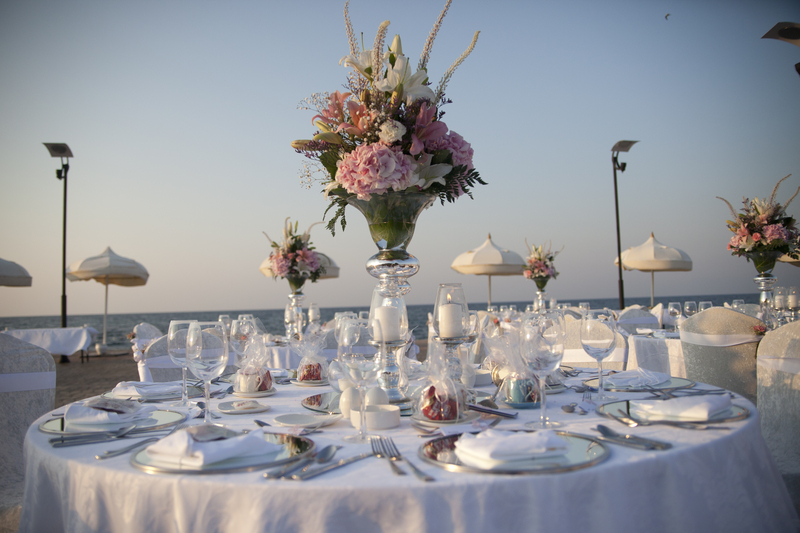 ​The Cratos Hotel is a five star hotel east of Kyrenia, offering amazing facilities for a wedding by the sea on a private beach. The hotel really does give you everything you need for your wedding under one roof. As well as the private beach, swimming pool and decking over the sea, there is a choice of 11 restaurants for your wedding breakfast or drinks reception, and even a selection of wedding cars you can use, such as a Rolls Royce, Hummer, limousine, Bentley, Mercedes or Jaguar. If you want to treat the men and women of your wedding party to something special, Cratos Hotel also has designer shops, a casino and a special VIP spa area which is perfect for a luxury hen party.